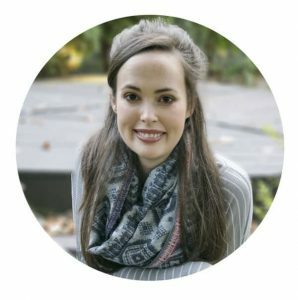 What is a dry brine? It is where you rub salt all over the steaks and let the sit in the fridge for a long period of time. It’s easiest to start them the night before. Use about 1 teaspoon of salt for each steak. 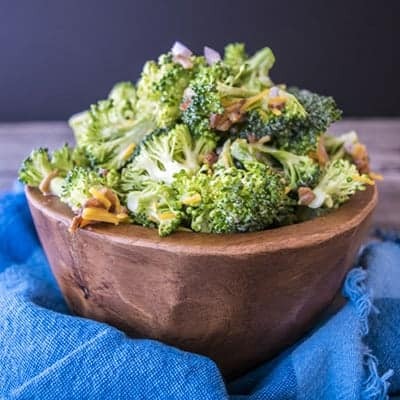 This simple step creates so much flavor! 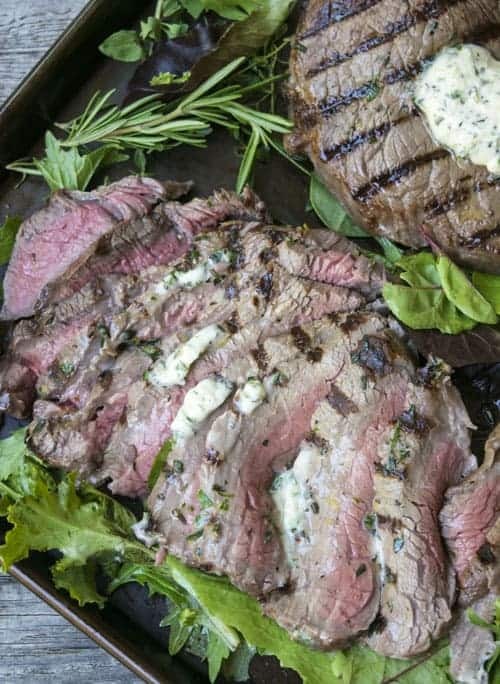 Another key step to this recipe is to baste the sirloins in herb butter or regular butter as they cook on the grill. Basting is pour juices or fat over meat during cooking to keep it moist. Melt about four Tablespoons of butter and brush it all over the steaks while the are grilling. Sooooo yummy. 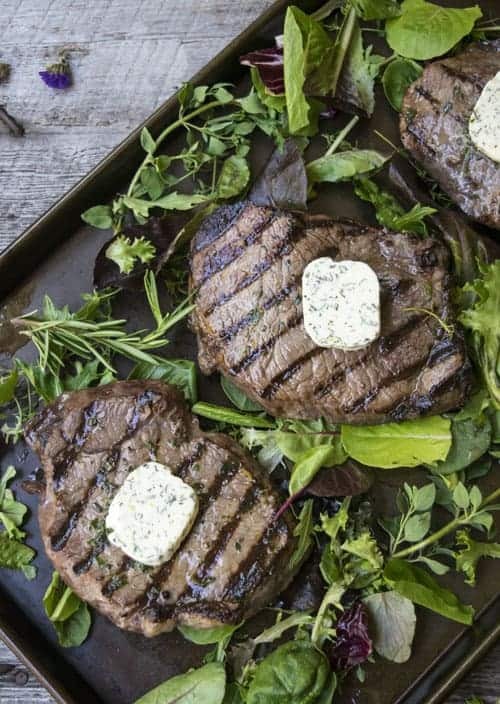 Don’t forget to top your finished Easy Grilled Sirloin with a pad of butter. Let the steaks rest for at least 5 minutes before you cut into it! 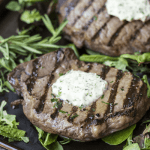 Easy Grilled Sirloins are perfect for any summer cook out! 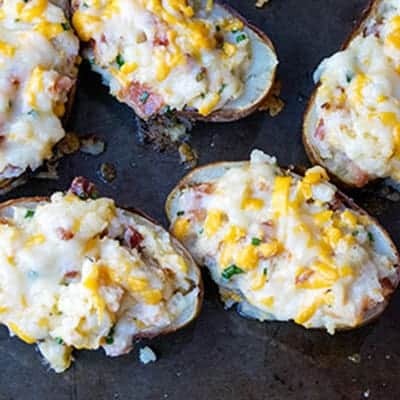 This easy grilling recipe starts the night before with a dry brine.. 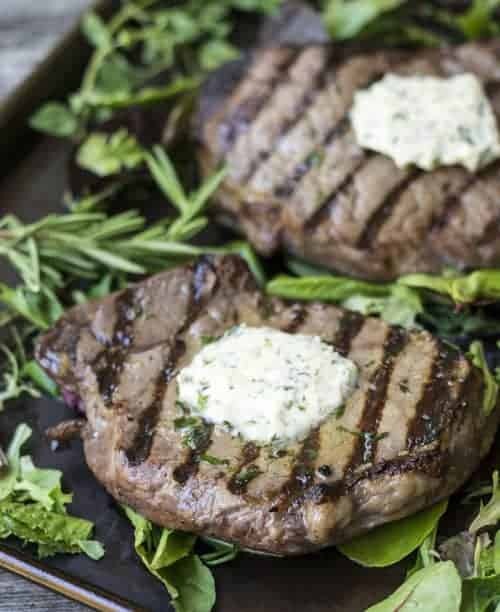 Finish them with a pad of herb butter! The night before grilling, rub 1 teaspoon of salt all over each sirloin. If it the sirloin is less than 10 ounces only use about 1/2 teaspoon of salt. The day of be sure to preheat your grill for about 15-20 minutes to make sure it’s nice and hot! Place each sirloin on the grill, and brush on a nice layer of butter. Grill for around 5-10 minutes (depending on how well you prefer your steak). Brush on more butter every 2 minutes. Flip the sirloins and repeat step 4. Take the sirloins off the grill, and let them rest for at least 5 minute covered. Top each steak with more butter if you want! 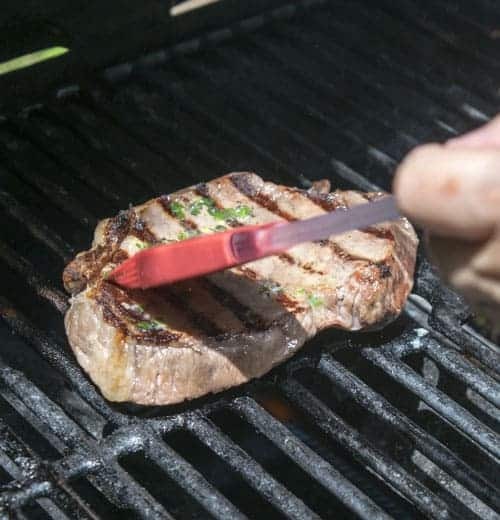 I like to cut my steak really thin to serve! Don’t forget to use up those leftovers! 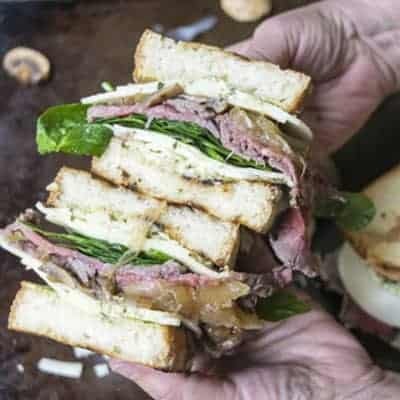 Coming next week is this delicious steak sandwich!